Net-a-Porter’s weekly digital magazine The Edit rarely disappoints with its quality content and imagery. This week’s installment is no different, featuring Edita Vilkeviciute. The team takes us to Paris for the edition dated October 26, 2017, with photographer Quentin de Briey on hand and Morgan Pilcher on styling duties. 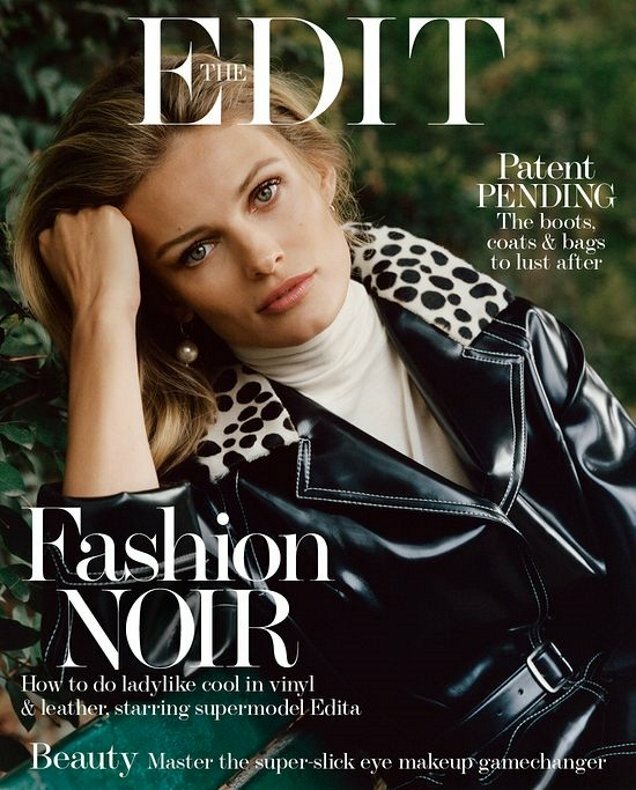 On the cover (below), Edita wears a black PVC Philosophy di Lorenzo coat, layered over a sweater from The Row. Throughout the cover feature, the Lithuanian stunner models a wide range of leather and high-shine vinyl offerings from the likes of Simone Rocha, Saint Laurent and Tom Ford (we’ll take two of each, please). Per usual, members of our forum didn’t hesitate to share their opinions. “I wouldn’t be surprised if Emmanuelle Alt hasn’t put out feelers to poach Morgan Pilcher from the Porter group. I’m as fed up with 80s edits as I am with a 90s streetstyle Tumblr accounts, but Pilcher really puts a fresh twist to an overplayed movement each time. The above edit is another prime example,” applauded Benn98. “Just when I was thinking I haven’t seen Edita in a while, here she comes. I love these type of editorials shot in Paris and Edita looks gorgeous as always,” raved Lausanne. Sailor shared the same sentiments. “What a face! Nothing groundbreaking here, but still well executed. Paris and Edita mix up well, and the result is very beautiful to look at,” she wrote. Check out the rest of Edita’s utterly flawless cover story and join the conversation here.